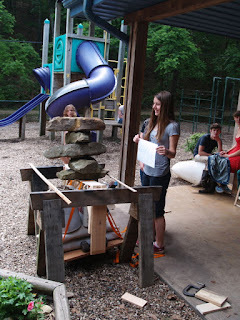 I have been reviewing photos of various projects through the years at the Clear Spring School. It is good to have photos to remind us of the many things we've done in wood shop. The photo here shows bridge testing. The students grouped in teams of three studied bridges of various kinds and I gave them materials to build designs of their own. They used glue and nails to attach parts. Then the testing began. We used saw horses for the bridges to span and nylon straps to support a weighted platform underneath. 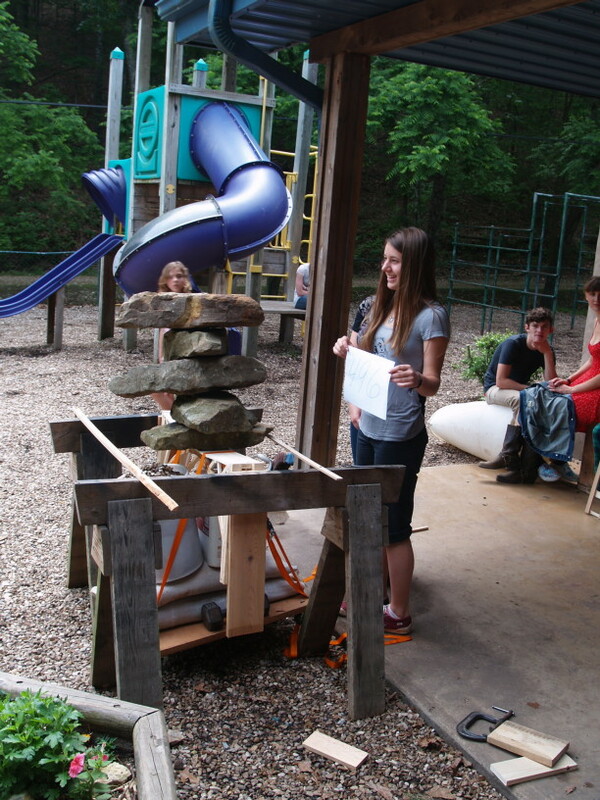 When we were unsuccessful at applying enough weight to break the bridges, we went to weightier measures, using large rocks gathered from outside the playground. Rachel's sign shows the weight supported by this bridge made of slender wooden parts glued into a structure as being 496 lbs.